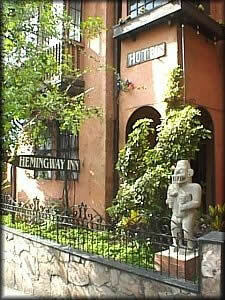 The Hemingway Inn, located in the historic quarter of San José, provides an excellent location from which to explore museums, great restaurants, the Simon Bolivar Zoo, the National Theatre, souvenir shops, the central market and the infamous night life circuit. There are three types of rooms with different price ranges; Economy, Standard and Large Standard, depending upon size and location. 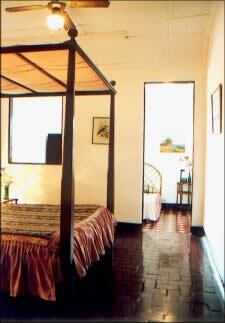 All are equipped with, comfortable beds, cable television in Englisn and Spanish (including live feeds from New York of the Big 3 US networks), telephone with free calls within Costa Rica and ceiling fans, free Wireless Internet access for your laptop, a clock-radio, new furniture, an insured in-room safe ($3 extra per night), and a private tiled bath with hot water shower. 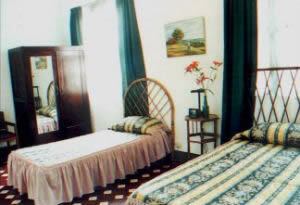 In addition, the hotel also offers laundry service, free luggage storage, and secure gated parking ($8/day). 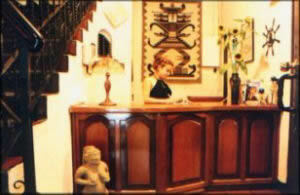 Rates include Hemingway breakfast from 7am to 10am daily.